Light aircraft were out in force as we walked up the eastern edge of Chichester Harbour, buzzing around the waters and droning incessantly like mosquitos. 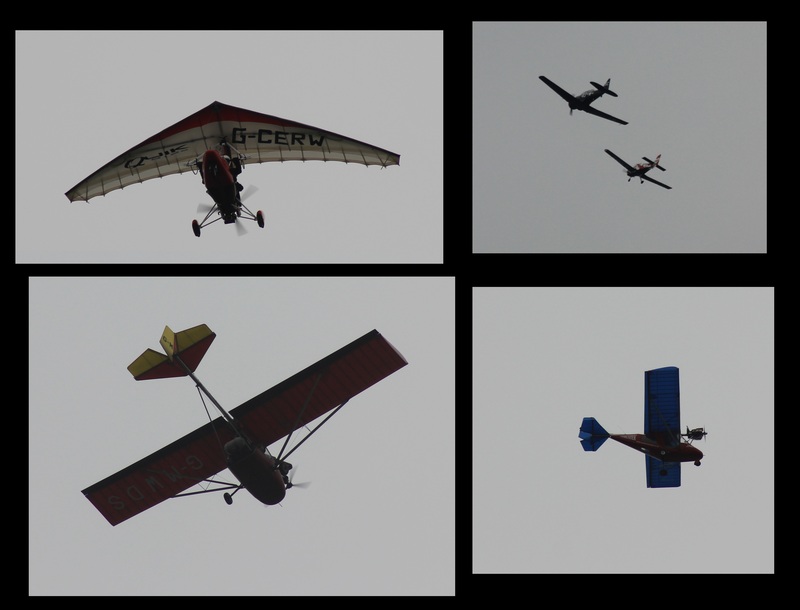 Despite the poor light, I tried to capture a few as they passed overhead. Half way around the channel we decided to stop for lunch. Some ate; the laziest of our party dozed off without even bothering to remove his pack. It was, I must say, a very comfortable sea wall. 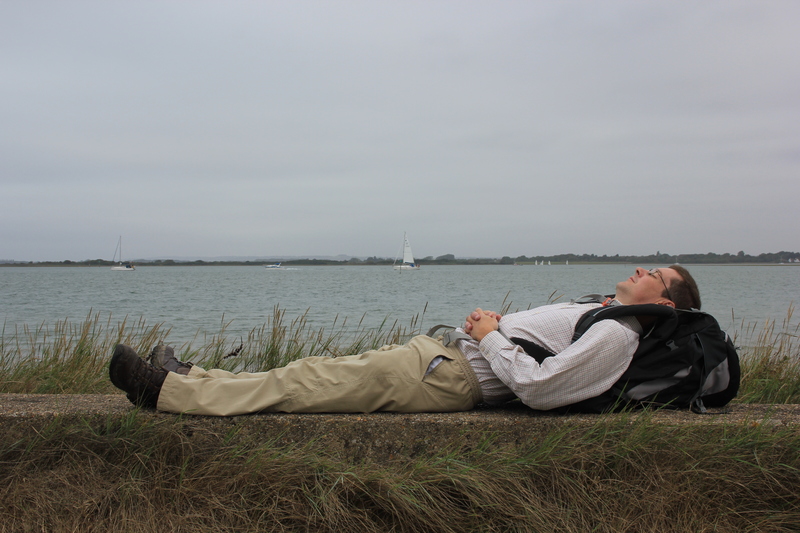 After lunch we continued our inland trek up the Chichester Channel, eventually reaching West Itchenor. 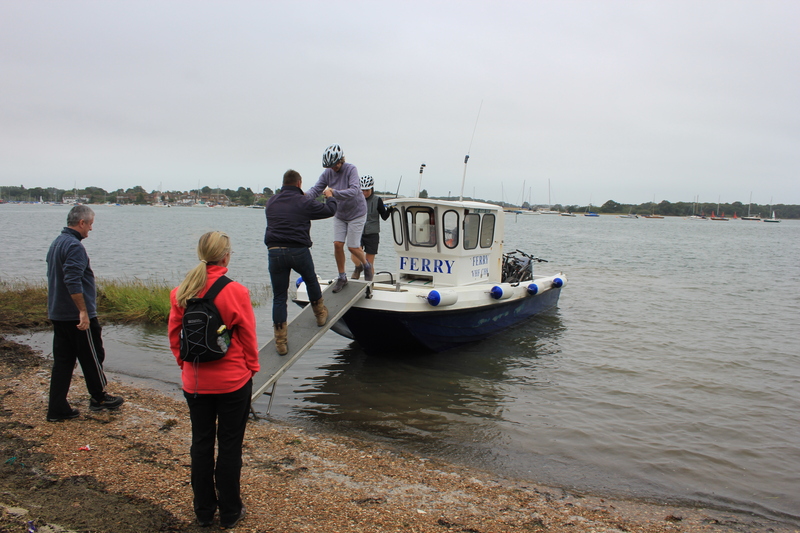 During the summer months there is a ferry over the Chichester Channel, from West Itchenor to south of Bosham. 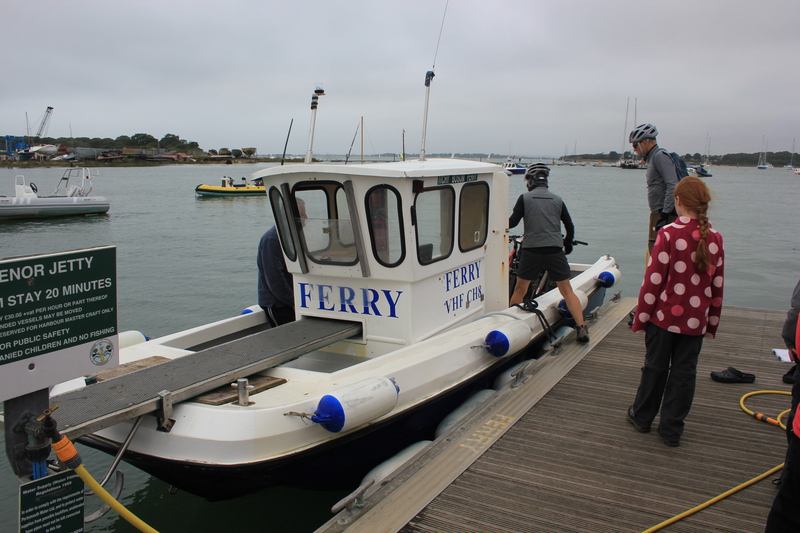 We were only a couple of weeks away from the season’s end, and felt lucky to find the ferry running. This allowed us to cut out the rest of the Channel, saving us some 8-10 miles of walking. Some tell me that they think it is cheating to use ferries. I disagree! Our aim is to walk around the coastline of Britain, not its estuaries. The first ferry we took was from Tilbury to Gravesend. Had we not taken that we would have walked into London and crossed at the Woolwich Underpass. That stretch, we would argue, is not really the coast of Britain. The same goes for the Chichester Channel. West Itchenor is already 3 miles inland; had we not taken the ferry we would have had to have walked 5 miles inland in order to navigate our way around the Channel. Thus, our rule is that ferries are permissible. Look! Here it comes! It was quite small, I thought, and I wondered what that plank thing was sticking out of the front? It was only a five minute trip over the Channel, and quite enjoyable, really. When we got to the other side of the Channel, we found out what the plank was for. We were thrown off in the middle of nowhere! 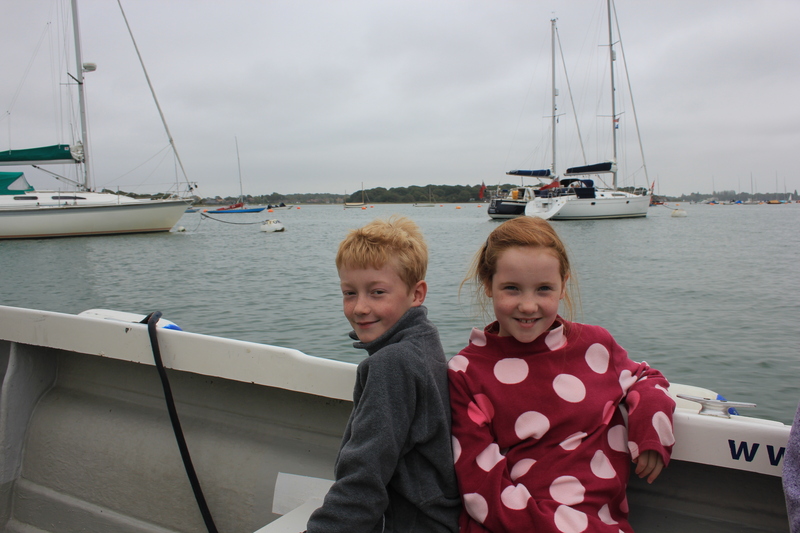 This entry was posted in West Sussex and tagged chichester harbour, coast, ferry, microlight, travel, walking, west sussex. Bookmark the permalink. Taking the ferry is definitely NOT cheating! Loved this particular ferry. On the day I used it, we kept stopping off at boats to offload people. Ferries are fair game, definitely. That one wasn’t running when I walked that way (I was a few weeks early). My detour was more like thirteen miles in the end.